*BEST PRICE! 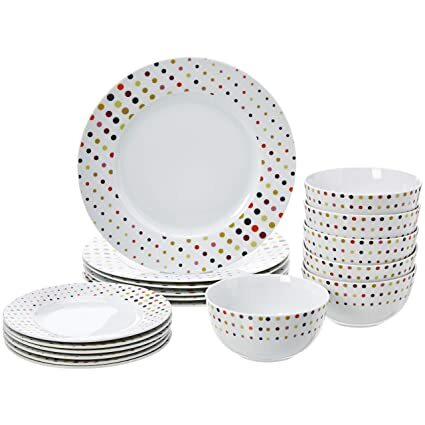 * Amazon – AmazonBasics 18-Piece Dinnerware Set – Dots, Service for 6 just $27.58 (Reg $39.99)! Score the AmazonBasics 18-Piece Dinnerware Set – Dots, Service for 6 for just $27.58 (reg $39.99) with FREE Prime shipping or free shipping with $35 purchase! BEST PRICE! Added to the PESACH 2019 round-up post!